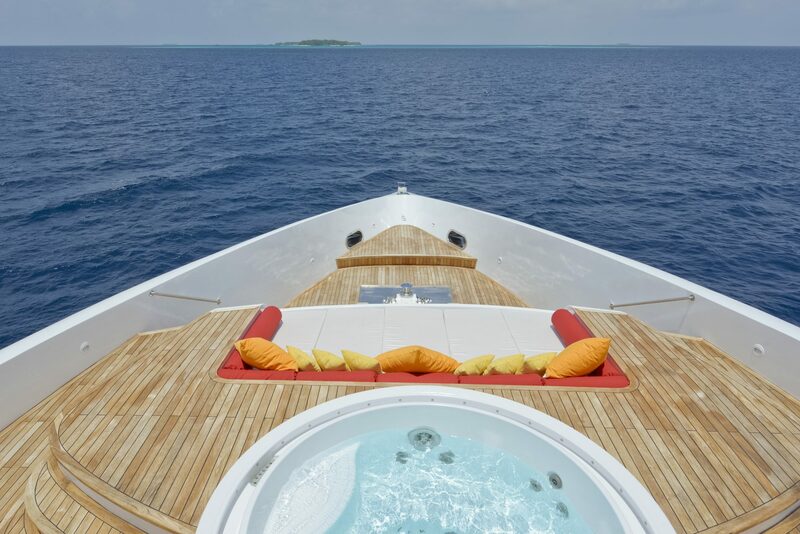 Considered on of the top boats in the Maldives. Anything you can think of is on board. 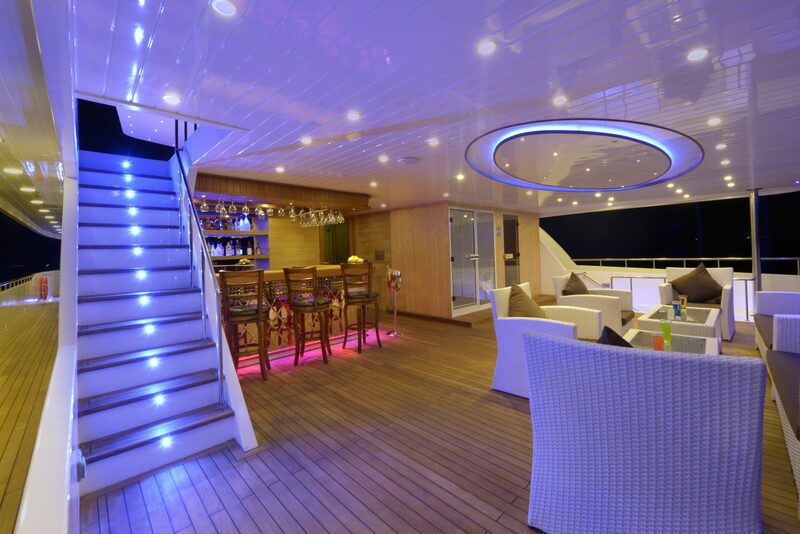 42 meter luxury yacht with last generation lighting system inside, outside, and underwater. 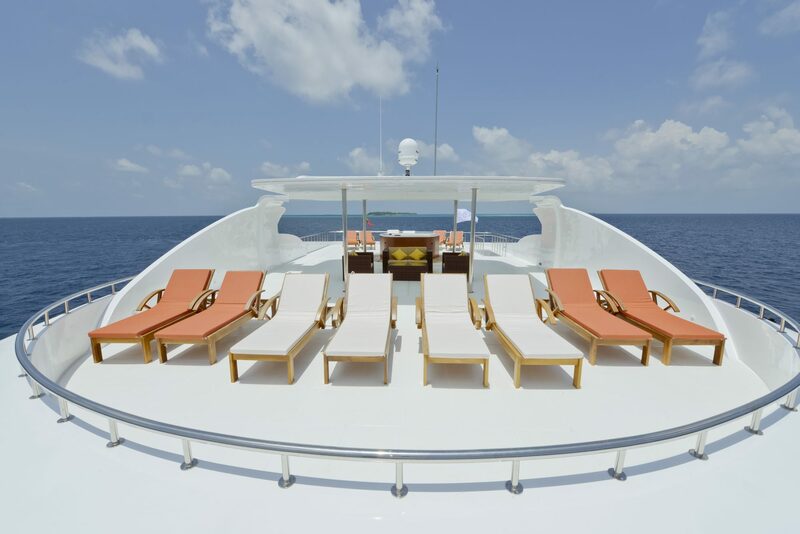 Wifi on the main deck & restaurant as well as electricity 24 hours. Voltage: 220 V.
11 Cabins for 22 people. 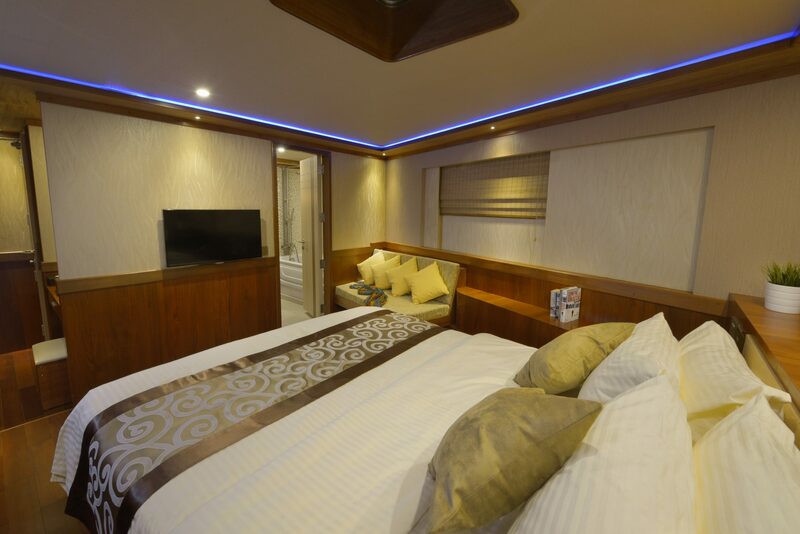 7 wide double cabins, 1 Junior suite, 1 Master Cabin, and 2 Master suites. All have en-suite bathroom, hair dryer, remote for lights and air conditioning, 32’ TV , in boat phone circuit, safe box, and towels. 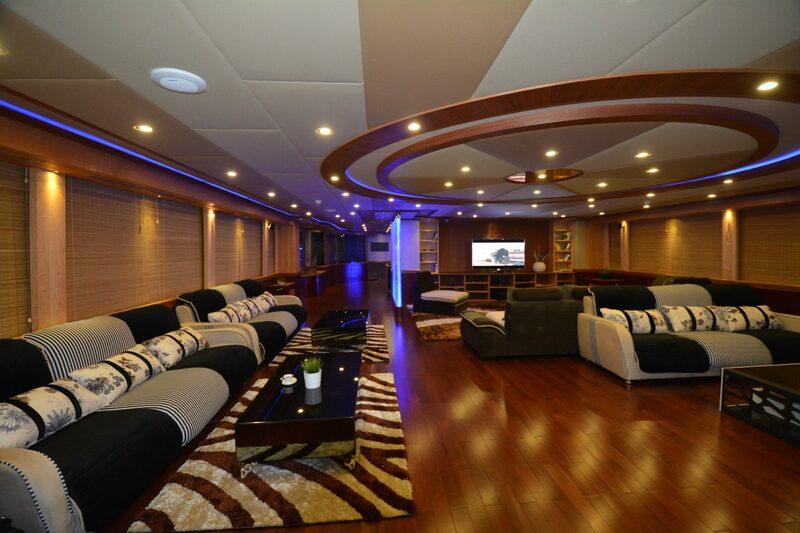 Living room, 65’ Tv with house channels, satellite navigation, film systems, & music equipment. Click “Book now” or the Contact Us tab for detailed itinerary!